Lamar Odom loses a second friend to a drug overdose in less than a week. 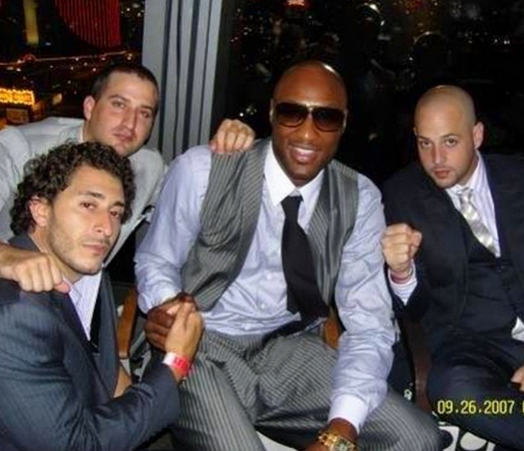 Less than a week after the death of Jamie Sangouthai, Lamar Odom has lost a second close friend to a drug overdose, Us Weekly confirms. Bobby Heyward, a producer and writer, died at age 30 on Saturday, June 20. The L.A. County Coroners office confirms that Heyward passed away, but did not confirm an official cause of death. What makes the situation even more heartbreaking is the fact that Heyward's final Instagram post was a tribute to Sangouthai. "#RIP To my big brother Jamie who always brought light into any room he walked into and laughter as well at all times J you will always be missed. Family for life. #BandOfBrothers #tbt," Heyward had captioned the photo with Sangouthai (far right), Odom (center), and another friend (bottom left). A source tells Us that Odom is "beside himself" as he was still close with Heyward prior to his death. Heyward was also close with Odom's ex-wife Khloe Kardashian, who reached out to her ex in the wake of his friend's death.